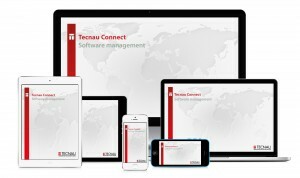 Broad capabilities for flexible product offerings. 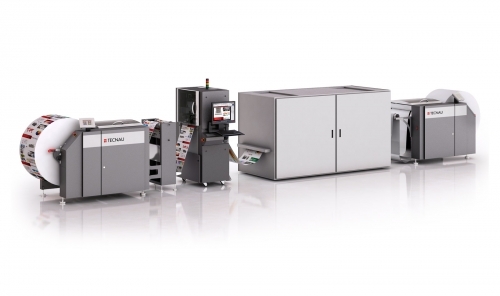 With the highly customizable Tecnau Finishing Solutions for the VarioPrint i-series high volume sheet fed inkjet presses, you may produce a wide array of applications to fulfill every printing need. 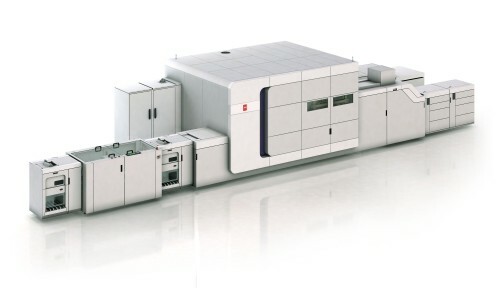 Dynamic perforating, creasing, punching and cutting. 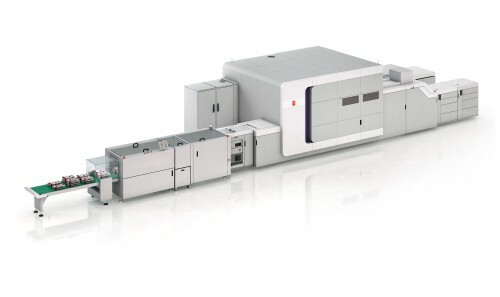 Empower your Océ VarioPrint i-series color inkjet presses with capable inline finishing solutions from Tecnau. 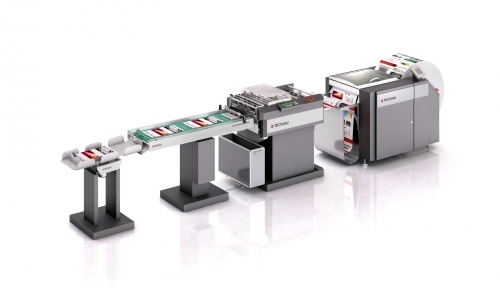 Choose from dynamic perforating and hole punching, creasing/scoring, and cutting/trimming modules – multiple modules may be combined to expand your product offerings. 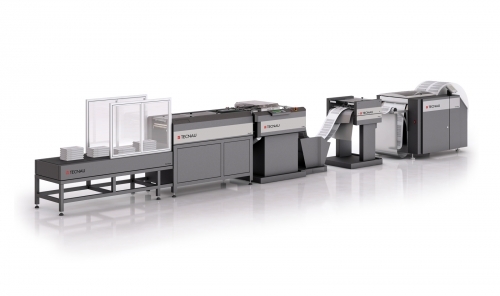 Tecnau’s TC 1530 C offers dynamic perforating & punching in a variety of models to best match your application requirements – optional creasing/scoring broadens the range of finishing capabilities. The TC 1530 P is the best match when punching is the only requirement. The Stack 1010 slits, cuts, trims, removes gutters/bleeds and stacks output, allowing users to process sheets in cost‑effective multiple‑up impositions. 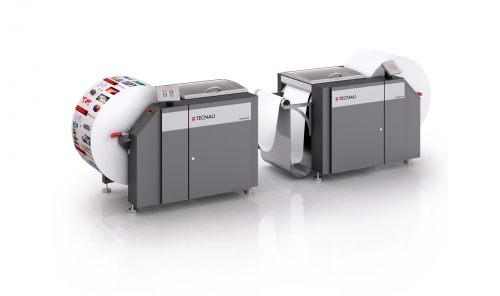 Tecnau’s family of VarioPrint i-series finishing solutions were developed in close cooperation with Canon, to offer inline finishing capabilities previously only available with web-fed printers. Many of these finishing functions are available as field upgrades to allow you to expand your capabilities down the road after installation – your investment is protected. Zero, one or two horizontal perforation cylinders or scoring are available. Perforations may be placed at repeat intervals determined by the number of cylinders available and blades mounted. Blades with different lengths can be installed on different cylinders allowing mixed perforation. Scoring patterns may be also provided. 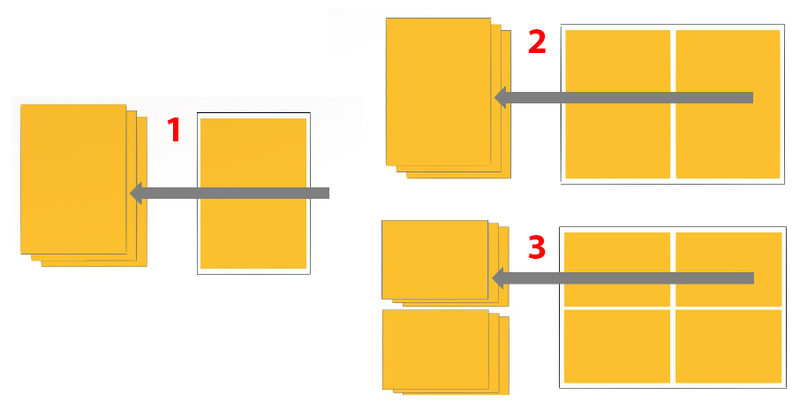 Unique page-by-page patterns are triggered 2D Datamatrix. Two or four perforation wheels can be chosen to dynamically process the sheets. The position of the perforation wheels is adjustable for manual change between jobs. Creasing capabilities are also available upon request. Performs two, three, four or five file hole punches or spiral/coil binding punches on printed sheets. The solution can be activated dynamically or it can punch every page in static mode setting. Cartridges are interchangeable for easy maintenance and application changeover. 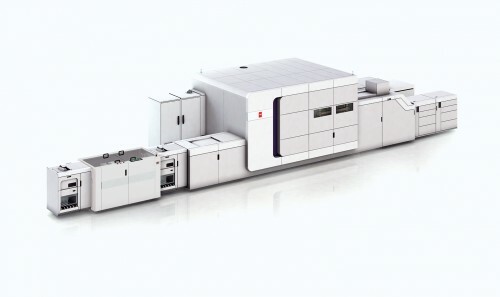 Depending on the configuration selected, the TC 1530 P can be installed as a separate unit or the TC 1537 P add-on version may be incorporated with the TC 1530 C to better optimize the overall footprint. The system can keep track of all processed sheets and report missing pages among every job in order to proceed with re-prints and complete customers’ orders. Printed output may be center cut and slit, either with single cut & slit or double cut (chip-out) and gutter cut for full bleed applications. Full-sized printed output may be cut & trimmed down to as small as a 6”(W) x 4”(L) finished page. 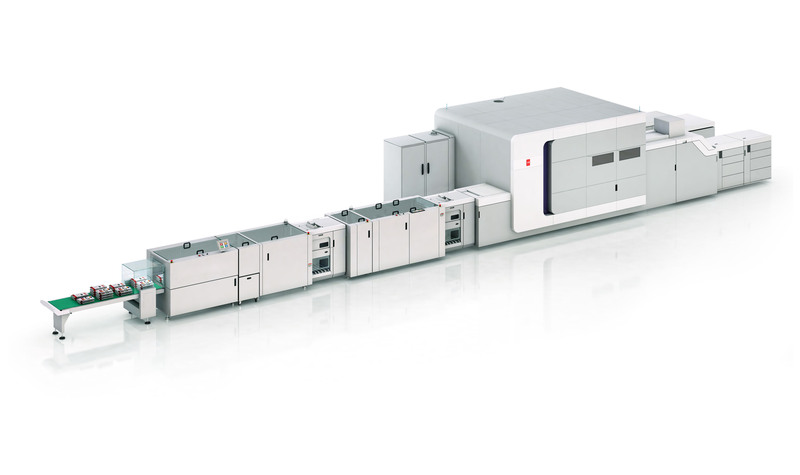 The Cutter c10 can be combined with multiple Tecnau collecting devices, such as the Stacker s10 to accumulate the output in sets with offset.